Foundations Up Construction Ltd - Electrician based in Coleford, Somerset. 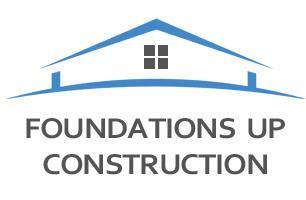 Foundations Up is the general building company associated with the leading home improvement website, DIY Doctor [founded 1999]. We are the team of experts that provide advice to the hundreds of thousands of people that come to the DIY Doctor website every month and so there is very little we have not seen or over come. Initially we started by doing the odd job to create content (videos, pictures and written instructions) for the website but eventually, word got out and more and more people asked us to help them so we had to separate the building company from the DIY website. To have an in-house electrical service means that we are flexible and responsive while maintaining the highest possible standards of craftsmanship. We can take on a significant project involving building and major alternations which other companies cannot, while we also can continue with the smaller projects and minor alterations. We are so confident in our work that we offer a lifetime guarantee on all our craftsmanship. For more information about us, please see the Foundations Up website.